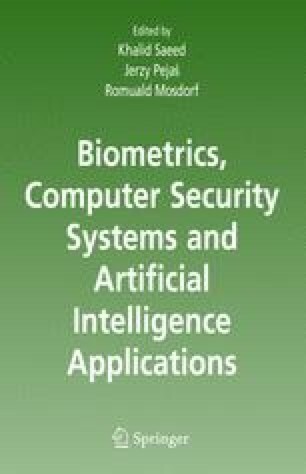 In the article we propose Gabor Wavelets and the modified Discrete Symmetry Transform for face recognition. First face detection in the input image is performed. Then the face image is filtered with the bank of Gabor filters. Next in order to localize the face fiducial points we search for the highest symmetry points within the face image. Then in those points we calculate image features corresponding to Gabor filter responses. Our feature vectors consist of so called Gabor Jets applied to the selected fiducial points (points of the highest symmetry) as well as the statistical features calculated in those points neighborhood. Then feature vectors can be efficiently used in the classification step in different applications of face recognition.